The afternoon the Pilgrim Woman told this tale was hot. The sun-saturated dunes gave off hot breath and even the gulls rested in their shade. The coolness of the Lone Chapel proved welcome and there were many listeners. ‘I shall tell a tale from the land of cypress trees and olives,’ the Pilgrim Woman said. In the days after his agreement with Demeter, the Lord of the Underworld fretted. He knew how jealous gods could be – and feared that harm would come to his beloved Persephone. Yet leaving his beautiful realm of death and sorrow was difficult for him. The heat and glare of the upper lands hurt terribly. He would risk it again for her – but to what end? The tunnels of his kingdom might bring him wherever he wished but even a god could not be everywhere at once. 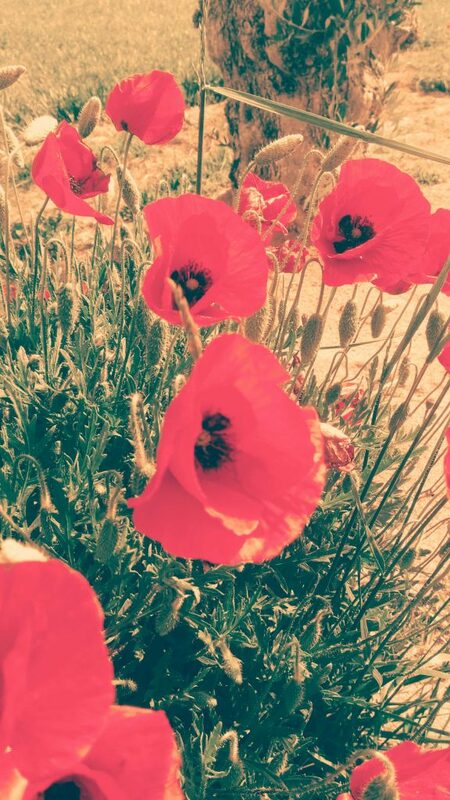 He brooded long and hard beside the Lethe, where the roots of poppies dangle into the water of forgetting. Feeling tired, he sent for honey. The richest, thickest, darkest honey came from Hades’ black bees. They travelled hidden in shadows to every flower at sunset and built their combs among the stalactites of his cavernous palace. Strong and sweet, one lick immediately gave him an idea. And he plucked thorns from the bitter shrubs beside the black waters of the Lethe and set them in the faithful bodyguards for a weapon. Now the black bees did as they were told. An advance guard came back and reported that Demeter secretly fed Persephone the juice of poppies to make her forget her husband and King. How Hades raged. But he was too wise a king to seek vengeance on his beloved’s mother. So when his anger had burned down into a cold blue flame, he devised a plan. Following his devoted black bees, he sought out every poppy plant and left his mark. Not only would any sleeping draught made from them give dreams of the dark kingdom, but every time Persephone saw a petal, his sign would be there to remind her of the king who loved her enough to wait. And so it was that Demeter was outwitted and all poppies bear the dark fingerprints of Hades. How kind – I hope you enjoy them, Frances. There are lots to go at – search either ‘peppercorn story’ or ‘Tales from the Garret’ and over fifty should turn up.